Turmeric is an essential part of the Indian cuisine and well-known spice among the food lovers. Apart from the deliciousness that it adds to the curry dishes, it also comes with tons of health benefits, including weight loss. Believe it or not, it is actually considered as a superfood and adding it to your diet will definitely aid your weight loss goals. Tumeric will help you to lose weight by suppressing inflammatory signals of the body. This happens due to the antioxidant present in the spice called Curcumin. The suppressed signals can potentially decrease insulin resistance, cholesterol levels, and high blood sugar. Consuming turmeric also has a cleansing effect. Detoxing the body and removing the toxins from the different vital organs such as liver can potentially aid fat metabolization. Apart from weight loss, toxin removal is important for your overall health. No reason not to start eating more curry foods or drinking turmeric tea! So, how much of the super spice should you consume to start losing weight? There is no specific answer to that. It is a naturally occurring spice consumed by millions of people worldwide for centuries. So, you should not be worried about the side effects. One thing that you need to make sure is that you introduce it in your diet slowly so you don’t shock the body. Half a teaspoon a day is a good starting point. Consumption of turmeric is an easy process and we do not recommend complicating it by using the supplements. Not only they are expensive, but there is also no proven benefit to using them over the traditional way. One of the most enjoyable ways of taking turmeric is to drink tea with it. Simply boil water, put the desired dose of turmeric, add some cinnamon and honey to improve the flavor and enjoy. While enjoying your delicious tea, keep in mind that turmeric has tons of health benefits that eventually will help you to get in shape and burn fat. It is amazing for digestion and well-digested food will help your body absorb nutrients properly, make you feel better and decrease bloating. It is also a great way to make sure that you have healthy joints. Anti-inflammatory antioxidant in turmeric will help decrease the chance of your joints getting swollen. It might sound too good to be true, but the claim is backed by science. 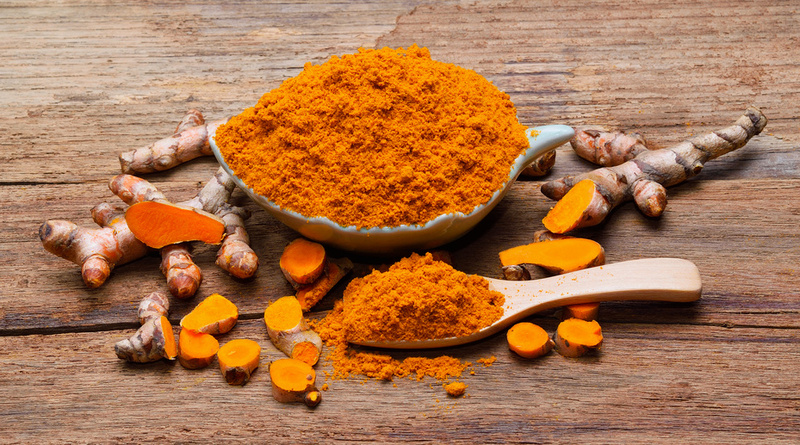 A study showed that patients with rheumatoid arthritis saw the benefits of taking Curcumin (that Turmeric has). Other health benefits of turmeric include boosted stress tolerance, reduced depression, healthy skin, brain health and even reduction of the risk of cancer. Understanding the effectiveness of the plant is essential in order to avoid being disappointed. While turmeric is beneficial for your health and will help you to lose weight, it is not a miracle product that you take and burn fat. The proper diet and exercise are recommended for healthy weight loss while getting the boost from the delicious spice that entire India loves.